20 Feb 2018 --- How the food industry can harness the power of blockchain technology is a key question for many as we learn more about cryptocurrency concepts and how blockchain applications can be beneficial for companies and consumers. Hyped as a potentially game-changing pioneering innovation, blockchain technology is inspiring change and innovation in the global food and beverage industry – and although it’s still in the extremely early stages, blockchain technology offers the promise of disruption on a huge scale across multiple sectors including agri-food, retail and the ingredients business at large. In this report, FoodIngredientsFirst examines how it is being used and the potential scope for the future. Click to EnlargeWhat is it? A blockchain, or distributed ledger, is a continuously growing list (digital file) of encrypted transactions called “blocks” that are distributed (copied) to a peer-to-peer (P2P) network of computers. Blockchain is a digital ledger in which transactions made in bitcoin or another cryptocurrency are recorded chronologically and publicly. The structure of blockchain means that it is a decentralized, distributed and a public digital ledger that is used to record transactions across many computers so that the record cannot be altered retroactively without the alteration of all subsequent blocks and the collusion of the network. In turn, this allows the participants to verify and audit transactions inexpensively. 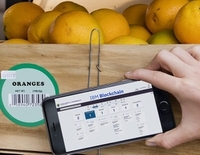 Giants like Walmart, Nestlé, Unilever and Dole, are hopeful that the high-tech tool can be used to address traceability issues and tackle food safety problems. These companies, alongside the likes of Driscoll’s, Golden State Foods, Kroger, McCormick and Company, McLane Company, Tyson Foods, are part of a consortium that joined IBM last year intending to further strengthen consumer confidence in the global food system. According to World Health Organization statistics, every year, one-in-ten people fall ill – and 400,000 die – due to contaminated food. Many of the critical issues impacting food safety such as cross-contamination, the spread of foodborne illness, unnecessary waste and the economic burden of recalls are magnified by lack of access to information and traceability. It can take weeks to identify the precise point of contamination, causing further illness, lost revenue and wasted product. IBM believes that blockchain is ideally suited to help address these challenges because it establishes a trusted environment for all transactions. In the case of the global food supply chain, all participants – growers, suppliers, processors, distributors, retailers, regulators and consumers – can gain permission access to known and trusted information regarding the origin and state of food for their transactions. Blockchain has the capability of transforming the way like-minded organizations collaborate, giving them a new heightened level of trust. Recently DNV GL – an international accredited registrar and classification society headquartered in Norway – partnered with blockchain expert VeChain to increase transparency from the factory to the consumer. The companies have joined forces to use blockchain to improve the transparency of product and supplier information and significantly to increase the efficiency of supply chains. As a global provider of assurance services and one of the world’s leading certification bodies, DNV GL helps companies in a range of industries to improve their business performance. It will progressively adopt blockchain to help companies boost the transparency and traceability of their products from the factory to the consumer. As one of the early movers in utilizing the technology, VeChain is a pioneer in the blockchain industry and controls the leading public blockchain platform for products and information. Companies often rely on independent third parties, like DNV GL, to manage complexity and risk in their supply chain and ensure compliance with industry standards and stakeholder requirements, spanning from product quality to corporate responsibility. For instance, DNV GL might work with a food producer to ensure that it has processes in place to properly manage food safety in all steps of the supply chain. By combining DNV GL’s know-how with key blockchain features and utilizing Internet of Things devices like sensors embedded in a product, it’s possible to obtain a unique insight into a product’s history, status and performance. This includes aspects like how it has been produced, transported, stored as well as quality issues. Such insight and transparency along the entire supply chain will give companies increased control and improve overall efficiency, according to DNV GL. Consumers will be able to verify that the product they are considering purchasing is safe and genuine and check aspects such as whether the product was ethically sourced from a manufacturer, that frozen food was safely transported at the right temperature or that a luxury product is an original. It can even track wine back to the original grape. Another major benefit of incorporating blockchain technology into food supply chain is its benefit in helping to overcome fraud. By making their supply chains accessible to the public and easy to understand, food and beverage companies can give 100 percent assurance on the authenticity of the product. Consumers can look into the source of foods which are commonly faked or adulterated in some fashion – olive oil, fish, honey, meat, coffee, organics and many more – which strengthens trust in those products and helps justify premium price tags. 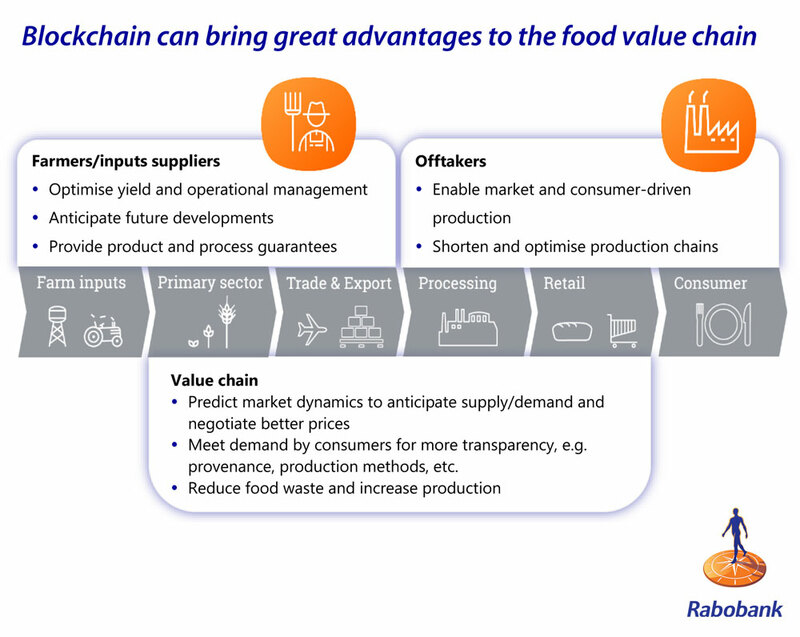 According to a recent Rabobank report – "Blockchain: The Trigger for Disruption in the Food Value Chain” – companies that want to remain successful in the future food value chain should start to explore options for participating in blockchain initiatives in order to help them lower costs, increase efficiencies, offer sustainable products and explore opportunities for creating new value. This includes increasing the added value of end products or raw materials – again, helping to reassure consumers about things like origin, quality, fairtrade, ethical sourcing and so on. The report details how blockchain can bring great advantages to the food supply chain, including in the sectors of farming, trade and export, processing and retail – and at the end, of course, there is the consumer who benefits greatly. A good example of this is a partnership by two Northern Ireland companies which have come together in a world-first for the beer industry. Brought together by the Ulster Bank-powered Entrepreneurial Spark hub in Belfast, Ireland Craft Beers and technology firm arc-net have collaborated to create a new beer brand that will be placed on a Blockchain platform. This is the first time this has been done anywhere in the world and means consumers can fully trace the product’s ingredients from source. arc-net has uniquely marked and authenticated each bottle of the new Downstream IPL, allowing for full traceability of each bottle through the brewery and the supplier network and customers can simply scan a QR smart code on the label of the beer to be taken online to uniquely identify every single bottle produced. Earlier this month, the European Commission launched the EU Blockchain Observatory and Forum with the support of the European Parliament, designed to highlight key developments of blockchain technology, promote European actors and reinforce European engagement with multiple stakeholders involved in blockchain activities. The move demonstrates how the Commission sees blockchain technologies, which store blocks of information that are distributed across the network, as a breakthrough that can bring about high levels of traceability and security in economic transactions online. Aside from the food industry and in particular retail, it’s expected to impact digital services and transform business models in a wide range of areas, including healthcare, insurance, finance, energy, logistics, intellectual property rights management or government services, says the Commission. "Technologies like blockchain can help reduce costs, while increasing trust, traceability and security. They have huge potential for making social and economic transactions more secure online by guarding against an attack and removing the need for any middleman,” said Vice-President for the Digital Single Market Andrus Ansip. Valdis Dombrovskis, Vice-President responsible for Financial Stability, Financial Services and Capital Markets Union adds how among the many technologies that are driving digital innovation, blockchain has the potential to be truly transformative for financial services and markets. “The Blockchain Observatory and Forum will monitor developments and also inform our policymaking,” he says. The European Commission has been funding blockchain projects through the European Union's research programs FP7 and Horizon 2020 since 2013. Up to 2020, it will fund projects that could draw on blockchain technologies for up to €340 million. To sum up, it’s abundantly clear that many big players in the food and beverage industry believe the hype surrounding one of the most-talked-about technologies in 2018 and how it can be applied now and in the future. However, consider this. Just last year, a Deloitte survey revealed that blockchain technology is emerging as a key business focus for US companies in many industries, with many executives in the consumer products and manufacturing and technology, media and telecommunications sectors planning their biggest investments. While some executives place it among their company’s highest priorities, almost 40 percent of surveyed senior executives still have little or no knowledge about blockchain. If you still count yourself among this set, then maybe it’s time to tune in to blockchain technology and how it can transform traceability and security concepts in a way never seen before in the industry. 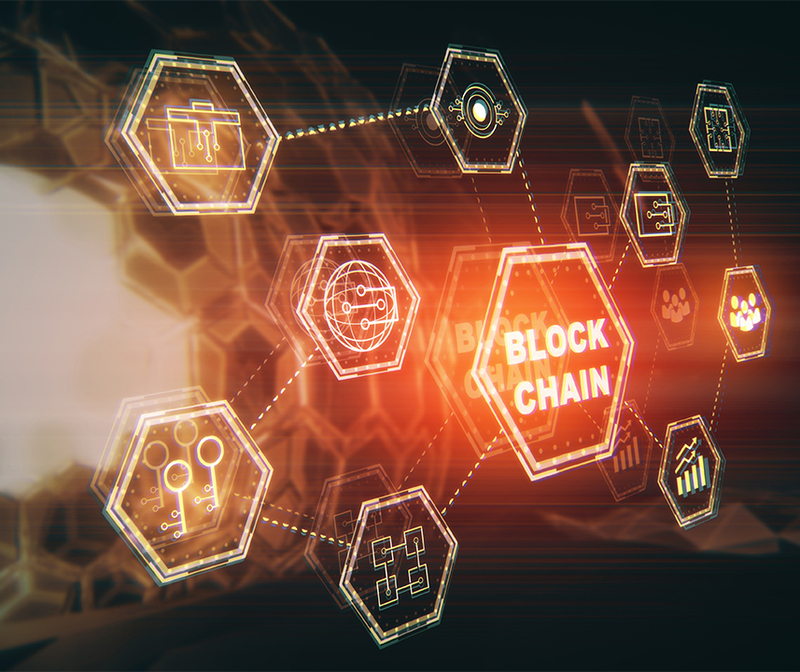 Last week, FoodIngredientsFirst featured an article on Blockchain and food: Early adopters to benefit from initial infrastructure, with a profile of research being conducted at Wageningen UR. You can read the article here.